Slim design for access for difficult riveting places (length 265 mm). Riveting capacity of up to 5.0 mm. Intermediate lever system reduces power requirement and effects shock-absorption. 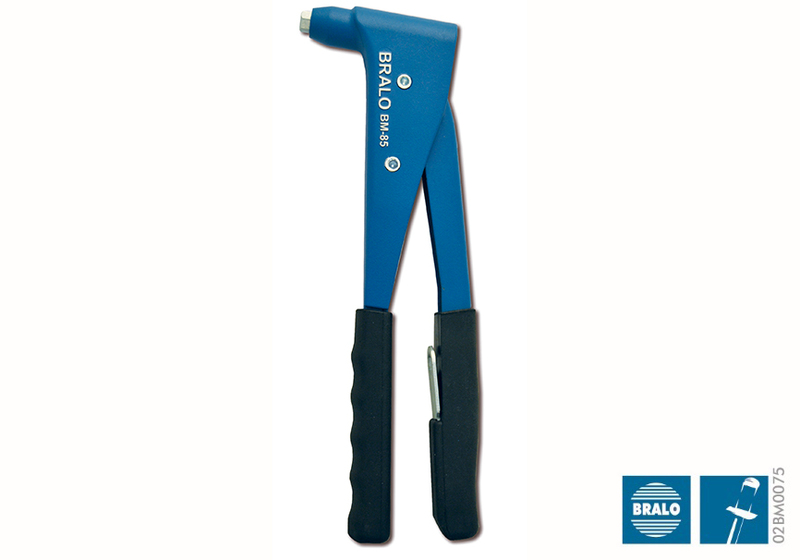 The Bralo BM-85 riveting tool is available packed in a protective box and metal box with assortment rivets more usually.